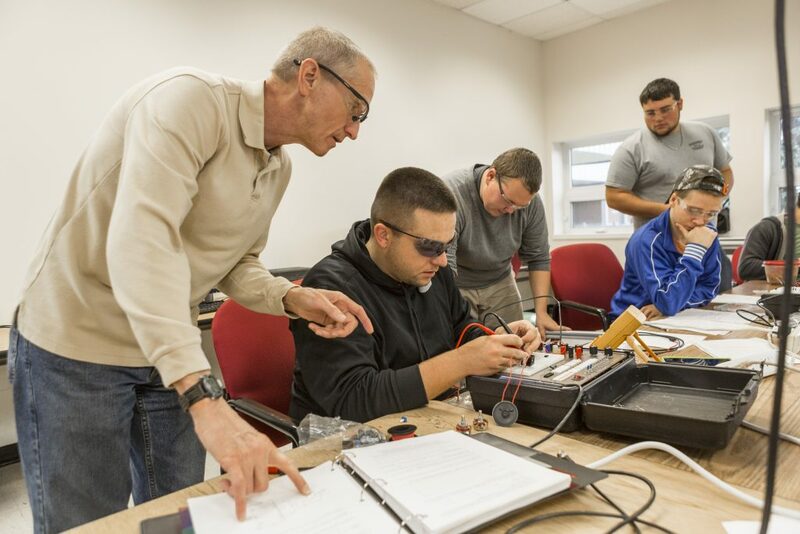 Electrical and Automation Technology prepares students for exciting and well-paying career paths in the field of electrical power and automation. All manufacturing processes rely on electricity, electronics, communications, and motion controls. The program provides sound theory reinforced by extensive laboratory applications which reflect the expectations and responsibilities of graduates in the workplace. 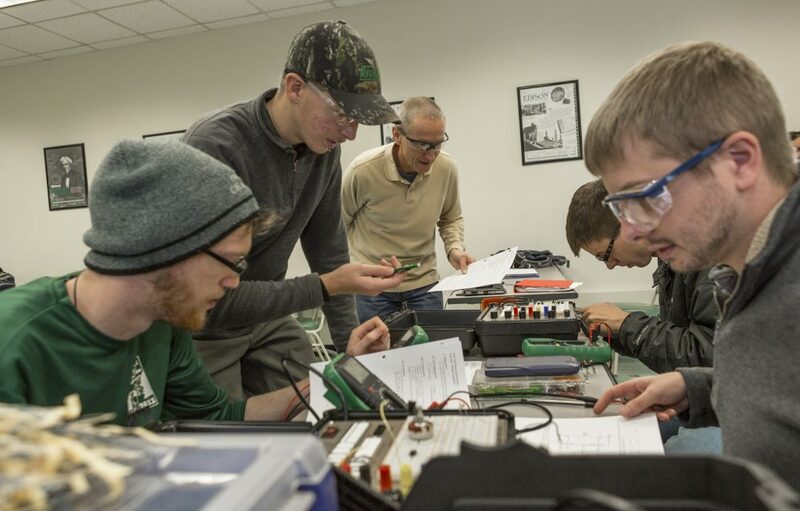 Students receive a solid foundation in DC/AC theory, digital and analog electronics, electrical machines and transformers, basic wiring techniques, motor controls, data communications, hydraulics and pneumatics, and automation systems. Graduates are eligible to sit for the State of Maine Journeyman Electrician Exam. After having passed it, as well as having met the on-the-job experience requirements of the State Electrician Examining Board, they will receive a Journeyman Electrician license. Graduates secure employment in many different settings such as industrial electrician, maintenance technician, engineering assistant, construction electrician, or field representative. EMCC has an articulation agreement with the Electrical Engineering Technology program at the University of Maine. 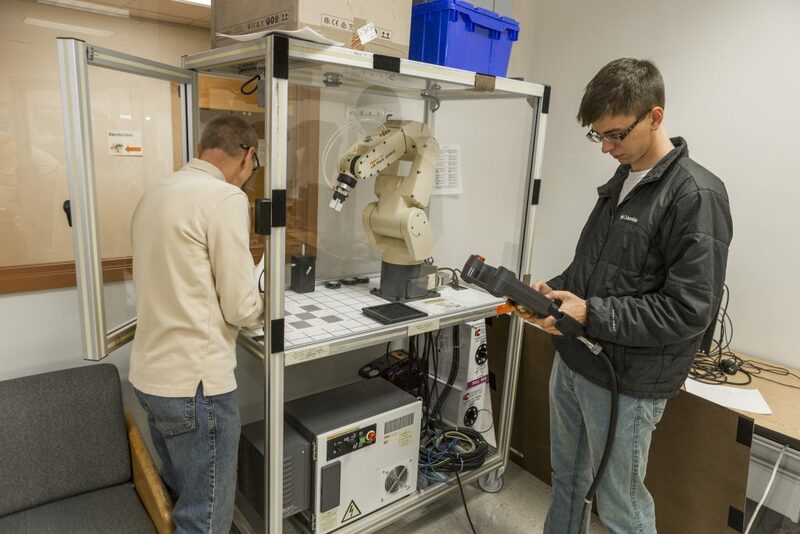 This allows Electrical and Automation Technology graduates to easily transfer into U-Maine’s 4-year Engineering Technology program. Capable of troubleshooting and repairing AC/DC circuits, digital and analog electronic circuits, transformers, power distribution equipment, motors, generators, motor controls, sensors, programmable automation controllers, variable frequency drives, instrumentation and process control systems, and a wide range of automation equipment. Able to interpret a wide range of electrical drawings: construction blueprints, electronic schematics, ladder diagrams, function block diagrams, connection diagrams, one line diagrams, loop sheets, P&IDs, and others. Capable of installing, troubleshooting, and maintaining fluid power systems. Capable of programming, installing, and maintaining programmable control systems. Proficient with electrical test instrumentation: multimeter, clamp-on meter, oscilloscope, megger, phase sequence meter, motor rotation tester, and others. Competent with many software applications: AutoCAD, Easy Power, Automation Studio, MultiSim, Microsoft Office, RSLogix, Cimlicity, FANUC Roboguide, and others. Demonstrate a working knowledge of the National Electrical Code and how it affects electrical installations. Possess a current OSHA 10 card, and have had NFPA 70E based electrical safety training. Problem solve as an individual as well as part of a team. Effectively communicate in speech and the written word. Algebra I, Algebra II, Geometry, and Physics or Chemistry with Lab required.